The holiday season has just ended but not in Schultz Optical. 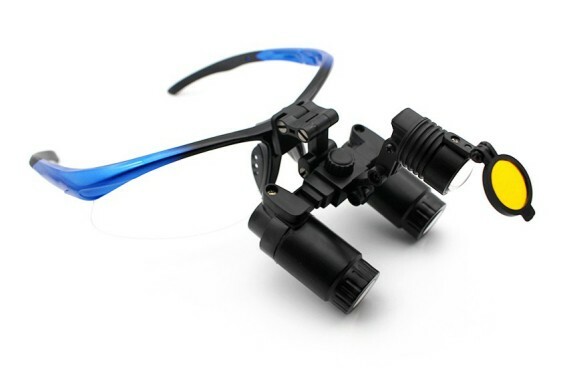 In fact, we still offer the best price and a 15% discount for all our dental and surgical loupes and headlights products with our holiday sales. 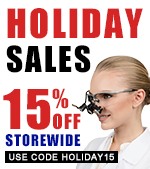 In order to avail of our 15% off storewide holiday sales simply use the code HOLIDAY15 when placing your order. What can you get with our holiday sales? Here are a few suggested products that you can buy as a gift for yourself this new year. If you are a student who is looking for a pair of dental loupes that you can use in dental school, you have come to the right place. Here at Schultz Optical, you can be able to own your first pair of high-quality loupes at an affordable price. In fact, we offer the best value on the web. Loupes do not only help hygienists get a better access to the oral cavity, they are likewise important for your long-term health and career longevity. However, because most of the hygienist loupes that are offered in the market today are a bit heavy, many hygienists prefer working without using an optical magnification aid. As a dental hygienist who provides oral health care services to various patients, you need to use a dental magnification loupe that allows you to work all day long without straining your neck, shoulder, and nose bridge. Our dental and surgical loupes are the lightest you can ever find on the market today. Schultz Optical specializes in manufacturing superior quality dental loupes for dentists. As a dental professional working on small and secluded objects, you need an optical magnification aid that does not merely magnify the oral cavity but also allow you to maintain a neutral ergonomic posture when working. We understand how important ergonomics and optical quality for you. That is why we made sure that all the loupes products we manufacture are of superior quality, lightweight, and affordable. Need a surgical loupe that offers more power for the intricate surgical procedure that you will perform? Well, we’ve got you covered here at Schultz Optical. 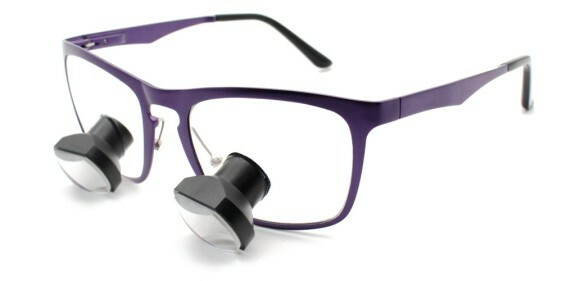 We offer surgical magnifying loupes that have magnification power that ranges from 2.0x to 6.0x. 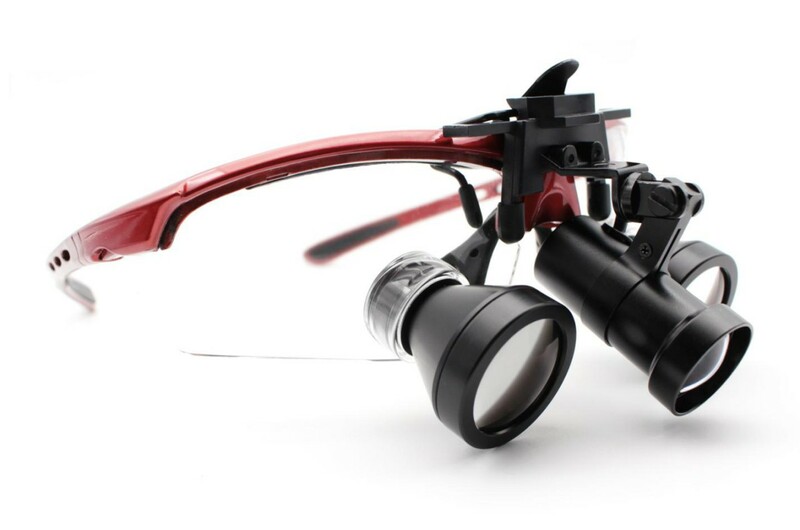 All our surgical and dental optical loupes feature superior quality German medical grade HD optics, titanium or sporty frame, and ANSI certified impact resistant polycarbonate lenses. All our products are also lighter and more affordable as compared to those offered in the market today. And aside from the lifetime quality warranty and 30-day risk-free trial, you can also enjoy 15% off by using the code HOLIDAY15. From the bottom of hearts, we want to great all our avid customers a very Happy New Year. We wish you all the best for 2018 and for more blessing for your career and family. We also would like to thank you for a fruitful 2017, for your continued support and trust as well as for being with us all throughout the year. This entry was posted in Dental industry news | Schultz Dental surgical blogBy Roger Jing On Jan 09, 2018 .